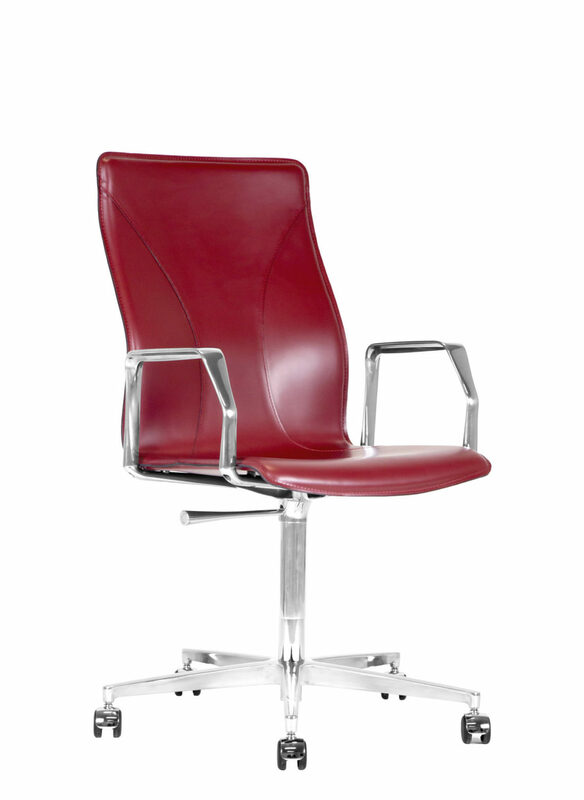 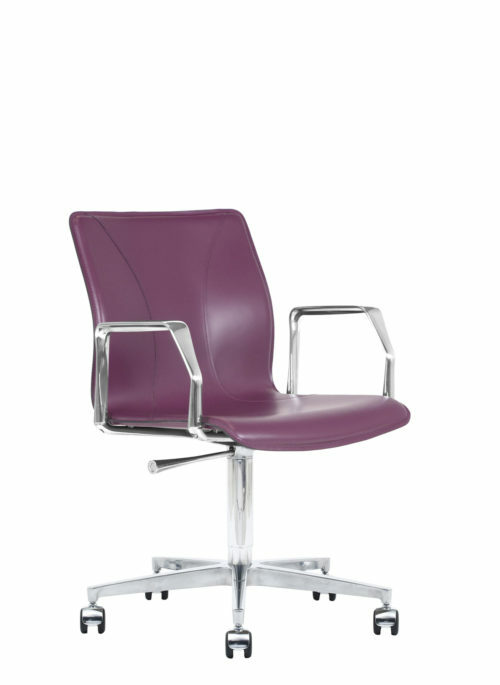 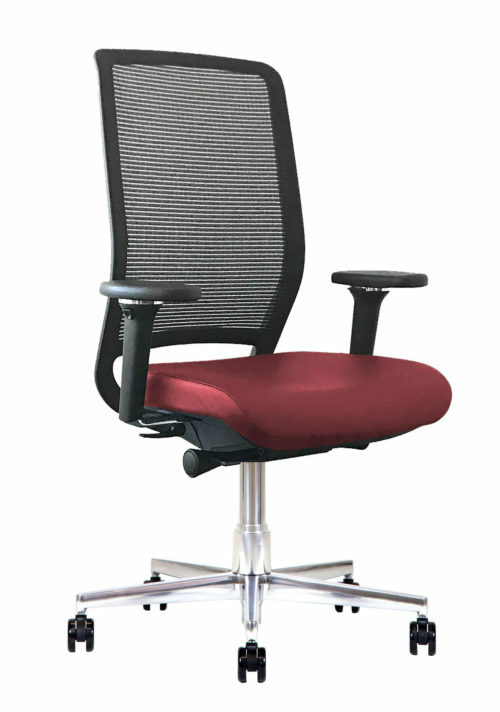 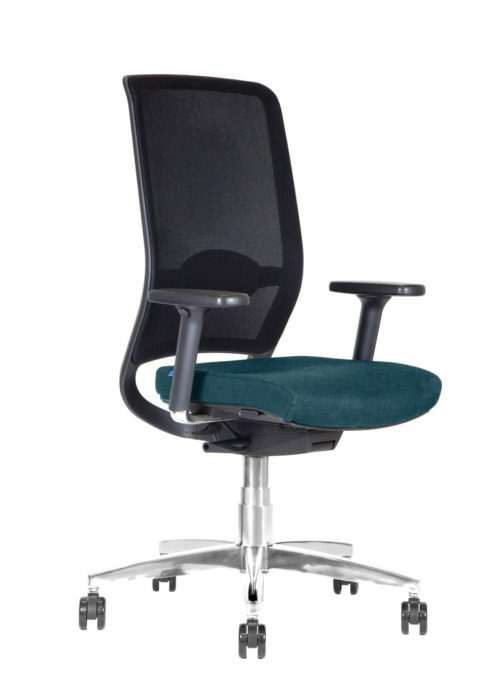 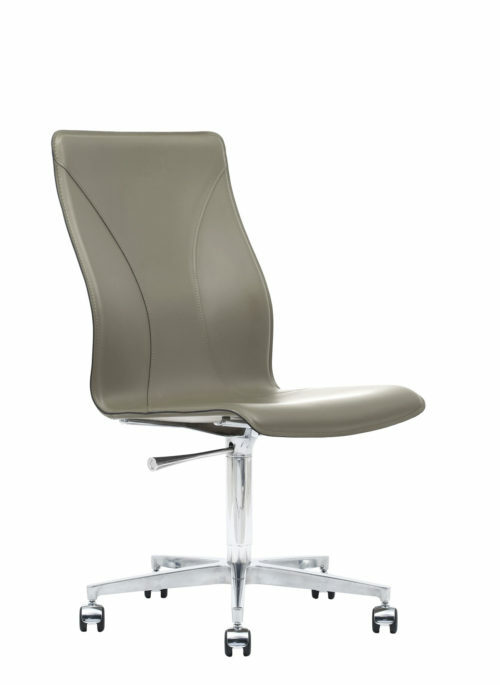 A swivel chair especially designed for guests, elegant workplaces and classy environments. 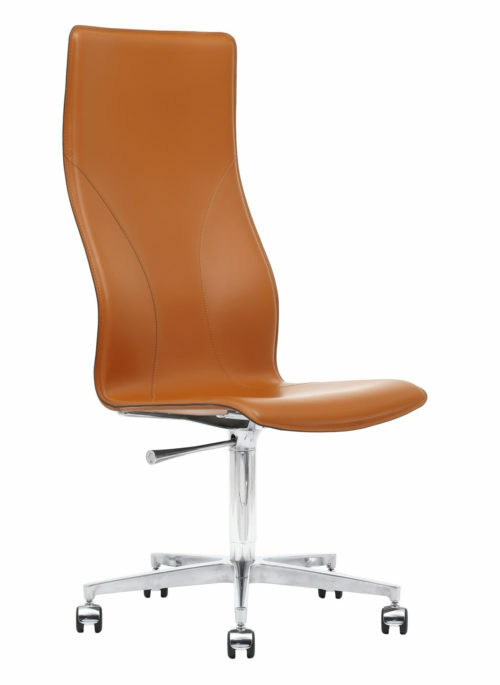 The medium-high shell (580 mm) in shaped beechwood is padded and covered with hand-stitched leather. 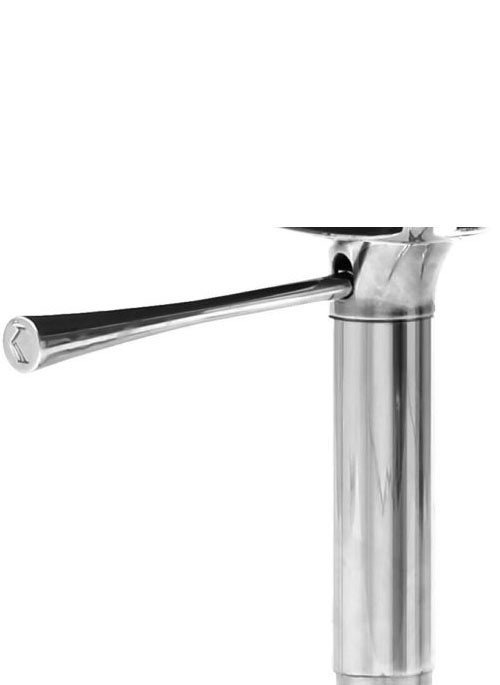 The base is in polished aluminum with five spokes, diameter: 640 mm.An in-built piston allows the seat height-adjustment from 400 to 520 mm. 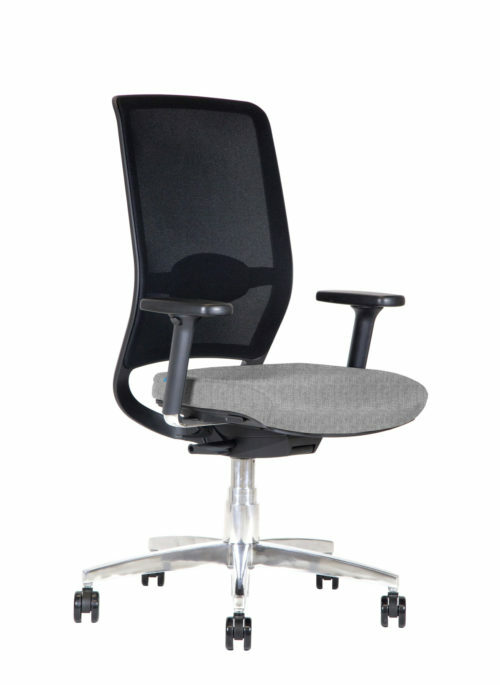 The ergonomic die-cast aluminum armrests are applied directly to the support, according to the exclusive Kleos design.